Lenovo announced that the ThinkShield solutions are available on ThinkPads, ThinkCentres and ThinkStations that were launched in April 2018, and beyond. Lenovo has launched ThinkShield - A 360 degree end-to-end approach to securing business devices, data, online presence and identity throughout their lifecycle. ThinkShield solutions are available on ThinkPads, ThinkCentres and ThinkStations that were launched in April 2018, and beyond. Demonstrating Lenovo’s Intelligent Transformation today, the company unveiled ThinkShield – an end to end approach to securing business devices, data, online presence and identity throughout their lifecycle. ThinkShield features a suite of security-focused innovations, processes and technologies. From physical endpoint protection to a trusted suppler program and transparent supply chain management, ThinkShield covers features that are integrated at the deepest level to ensure the highest level of security for enterprises. By working with partners like Bufferzone, Coronet and Absolute, Lenovo is empowering IT administrators and end users to secure their identity and data while being online. ThinkShield solutions are available on ThinkPads, ThinkCentres and ThinkStations that were launched in April 2018, and beyond. ● From secure BIOS and firmware development to features like ThinkPad Privacy Guard* security screens and industry-first webcam shutters, Lenovo builds protection into its product design. 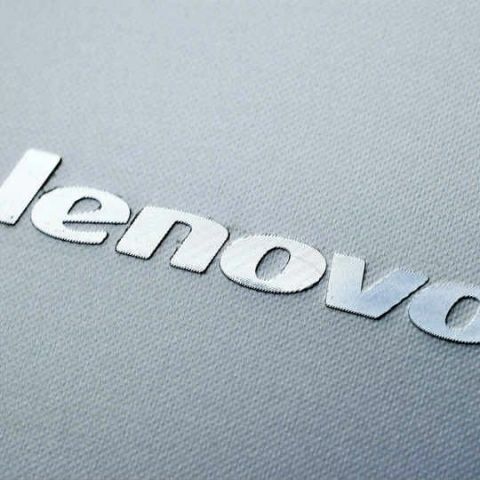 ● Lenovo’s strategic partnership with Intel® has enabled them to align with the Intel Transparent Supply Chain, which allows customers to locate the source of each component of their new system. ● A founding member of FIDO®, Lenovo offers the industry’s first and only FIDO®- certified authenticators—plus match-on-chip fingerprint technology—to give companies safer, easier ways to protect their employees’ identities. ● Lenovo Endpoint Management, powered by MobileIron®, provides a secure, simple way to unify cloud and endpoint security across multiple devices. ● Absolute® PersistenceTM technology provides IT admins with an unbreakable connection to all of their devices so they can leverage enriched asset intelligence, automate endpoint hygiene and stay audit-ready with continuous compliance. The Intelligent Transformation strategy is driven by emerging technologies, including artificial intelligence, augmented reality, the Internet of Things, blockchain and 5G connectivity. Lenovo excels in these competencies – based in the cloud, distributed through infrastructure, including networks and delivered by devices. Lenovo also showcased the latest addition to the premium ThinkPad X1 laptop portfolio, the ThinkPad X1 Extreme. The new ThinkPad X1 Extreme is designed for advanced users and prosumers with high performance computing needs and features advanced NVIDIA discrete graphics. It is ideal for data intensive workloads; video and photo editing; graphics rendering; and virtual and mixed reality applications. The launch brought together technology professionals, Lenovo’s latest products and insightful presentations from major industry experts (IDC) and influencers who are shaping the future of Artificial Intelligence and other transformative technologies.